I got back from Denver about 9:45 p.m. Friday and next thing I knew it was time for the Thirsty Ear Music Festival Saturday morning. My role at the festival this year is different than ever before. 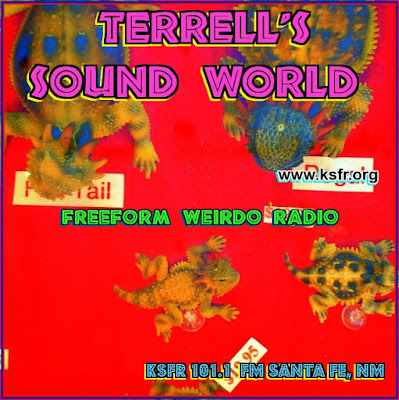 In most past years I've worked with Jeff Dowd and others at the KSFR booth at the festival. 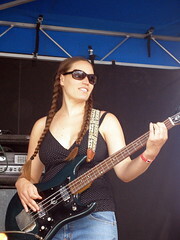 A couple of the early years of the festival I played with my old band The Charred Remains at one of the second stages. I think the only time I went just to hear the music was the first one, back in 1999. So for much of the time, I was back in the mobile Southwest Stages studio providing some yak between the music with Dowd and Laurell Reynolds of KSFR, mostly listening to the acts on stage via the radio. Some of the time this was disconcerting. There was a 9-second delay, so you could hear the real-time performance outside as the radio blasted what had been played onstage 9 seconds before. Pretty surreal. There was some great music though. How is it that this band just seems to be getting better and better. I didn't recognize a couple of the tunes they played early in the set, so I assumed they were from their upcoming album, Poison. But no, Frogville strongman John Treadwell told me that these are songs that have never made it onto an album. I bet they already have enough tunes for another album or two ready to go. 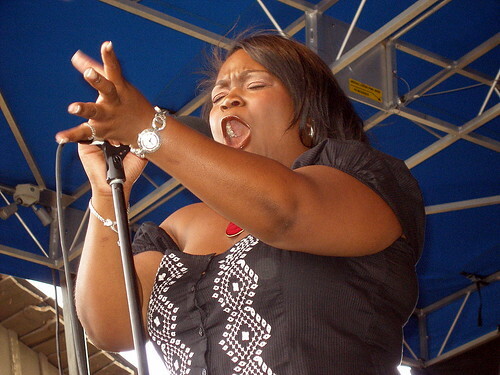 Shemekia Copeland, daughter of Texas blues great Johnny "Clyde" Copeland was up next. (That's her in the photo at the top of this post.) She gave a stomping , funky performance. And she might have made at least one convert. My son has never been much of a blues freak (even though I have his picture sitting in T-Model Ford's lap at the first Thirsty Ear Festival nine years ago) , but he was enraptured by Shemekia. There's hope for the youth of America! 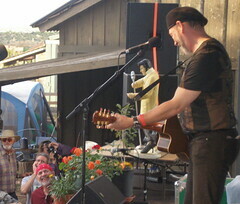 Richard Thompson was up next on the main stage, doing a solo acoustic set. I've seen him solo, I've seen him alone with bassist Danny Thompson and once even saw him with a full band (back in 1988 at Club West here in Santa Fe.) He always gives a satisfying show. I wish I could have been outside in front of the stage more when Thompson performed yesterday. 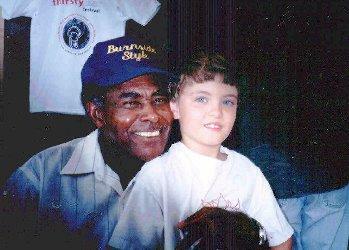 The most memorable tune I was able to catch was his anti-war song "Dad's Gonna Kill Me" and it was powerful. New Mexico blues guitarist Ryan McGarvey closed the show. He was called in at the last minute to substitute for zydeco princess Rosie Ledet, who couldn't make it reportedly due to illness. There's a cool line up today, including Junior Brown, Buckwheat Zydeco and Patty Griffin. Maybe see you there. UPDATE Forgot to put in the link to my Thirsty Ear '08 photos.